Okay. You’ve created an Instagram account (Why Instagram? Read this post.) You’ve got a list of what to post (Need more ideas? Read this post.). Now how do you grow your following? The first thing to remember is that (for most of us) growing a following is slow going. Don’t get discouraged… stay patient and keep the long view in mind. Unless you get super famous overnight or buy followers (not a good idea), you are just not going to get thousands of followers super fast. But in time, you will get them. To be honest, I find hashtags annoying. But they are necessary. If you’re like me, and they bug you, put them in the comments so they aren’t so blatantly in your face. Hashtags allow people with similar interests to find you. If you use hashtag #picturebookauthor, for example, people trying to find picture book authors can find you. Boom. Automatic followers. It took me awhile to figure this out. One way to get more followers is to follow random people in the hope that they will follow you back. However, tons of followers that don’t engage with your posts won’t do you much good (or feel very fulfilling). So find people that are active on Instagram—people that like and/or comment on posts. These are the people that will actively like your posts if they start following you. To find these gems, find someone with an account similar to yours. 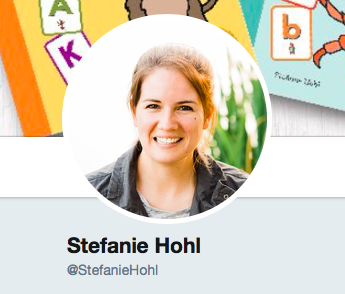 If you’re a picture book author, find an account that posts about picture books. Click on one of the posts, then click on the people who liked that post. Follow those people. There is a much higher chance that active Instagrammers will follow you back, rather than a whole bunch of random people. Not only that, but these are your people. They are interested in the kinds of things you are posting. Cultivate this audience. In my experience, giveaways are the fastest way to gain followers. They work even better when someone else hosts the giveaway. I haven’t found that hosting my own giveaways gets me many more followers because it doesn’t give me exposure to new people. But when someone else hosts the giveaway for me, all of their followers see the post, and this can pay off big when it comes to building your following. That being said, keep in mind that some giveaways will be a flop. I gained 600 new followers in the best giveaway I ever had. Woot woot! But another giveaway only resulted in 12 new followers. There’s no guarantee that giveaways will succeed.. But they are definitely worth trying. When you post consistently, you retain more of your followers. Despite that, there will always be people that unfollow you. Please don’t let that bother you. It’s just part of the deal. As for frequency, Instagram research has shown that it doesn’t actually matter how often you post, just that you are consistent. When you post consistently and are active on Instagram, Instagram also suggests that people are more likely to follow your account. So there you have it. Research shows that consistent posting can help you get more followers. This doesn’t help you grow your following, but it’s still important. You want to keep your ratio of followers/unfollowers in check. In short, you don’t want to follow thousands more people than are following you. There are apps that will let you know all the people you are following who aren’t following you back. Figure out who they are and unfollow them. It’s a huge pain. Do it anyway. Or make your tech-savvy kid do it for you (I may or may not have used this tactic). For all you picture book authors or illustrators who read last month’s post (find it HERE), I hope I convinced you that Instagram is a must! But what to post? How often? These are great questions, and I wish I had the magic answer. The truth is, the answer is different for everyone. That being said, there are some basic guidelines that can help you get started. First of all, don’t wait until you are published to build your brand. Start now. You can’t gain thousands of followers overnight. It takes a long time and patience. So the sooner you create your author platform, the better. Once you are published, go ahead and post about your books, but make sure to vary it up with other topics as well. One of the fastest ways to lose followers is to “sell” your book with every post. Ugh. Instead, decide now how you want your brand to look. Are you the crafty writer who writes and loves teddy bears? The snarky writer who loves popsicles? The writer-teacher? Obviously, you are more than your brand, so do some trial and error. Post about things you love, see what people respond to, and adjust. Your “brand” will naturally change over time, and that’s okay. This leads to the biggest question of all: what to post? There’s no right answer about what to post or what not to post. Some people are extremely personal on Instagram and post pictures of their kids and all of their inner thoughts. Other people are very private and only post information about their books or events they are participating in. And then there’s a whole mixture of in-between folks. This is what I mean about trial and error. Post what you love. You get to decide what you are comfortable with. There are no rules here. Just pay attention to the posts people are responding to. See what they like to see, and let your brand emerge from there. For example, it’s been proven that pictures with people get more likes and comments than posts without people. There are lots of statistics about this kind of thing. Go ahead and research it, or just watch your feed. You’ll figure it out. For those of you still scratching your head and/or watching your heart beat through your chest, I’ve compiled a list of ideas to get you started. Keep in mind—people love getting new ideas, being inspired, and laughing. Creating content that feeds into those desires will automatically add value to what you post. So with that said, here you go. · If you are an illustrator – your art! Building your Instagram brand takes time and effort, but it’s worth it! Even if you just post once a week to start, it’s still a start! Every little bit helps. There are also a lot of tools like Later, Buffer, or Hootsuite where you can schedule posts to make keeping up with Instagram easier. Feel free to message me with questions. A lot of new authors ask me if they have to be on social media. The answer is YES. And for most of us, it takes a LONG time to build a following, so the sooner you start, the better. But which social media platforms are most important for a writer? For most writers, the answer would be Twitter. The publishing world is very present on Twitter – it’s the social media platform that agents and publishers most often emphasize for new writers. However, for you picture book authors/illustrators out there, I would (gasp!) disagree with the general Twitter consensus. For us, Instagram is the way to go. But why? You ask. Let me count the ways. First, that’s where your audience is. As a picture book writer/illustrator, your primary audience is parents or teachers of babies and preschoolers, most of whom are people in their late twenties to early forties. According to the article, “Social Media Demographics to Inform a Better Segmentation Strategy,” 59% of 18-29 year olds and 33% of 30-49 year olds use Instagram. In comparison, only 36% of 18-29 year olds and 23% of 30-49 year olds use Twitter. A higher percentage of your audience is checking their Instagram feeds than scrolling through the latest tweets. Second, picture books are very visual, and Instagram is all about images. Give people images of your book, and they will remember it that much more easily! 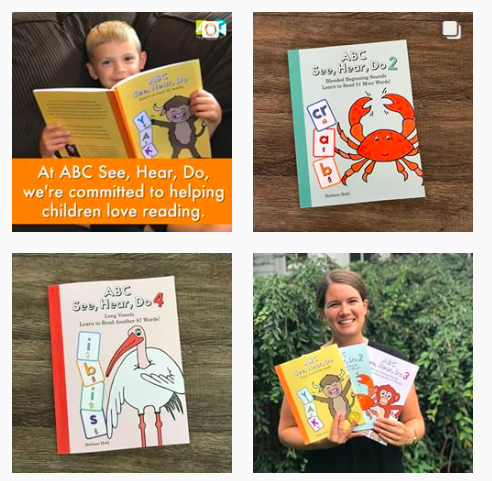 Finally, one of the best marketing tools for picture book writers/illustrators is the plethora of Instagram moms who love books. There are loads of Instagram accounts dedicated purely to picture books. Bookstagram is a thing. And this is the kind of community you want to be part of. You need all those picture-book-loving moms (and dads, though they are admittedly fewer and farther between on social media) talking and posting about your book. Find them. Follow them. Make comments on their posts. Then, message them and ask them if they’d like a free copy of your book. If they love it, would they be willing to post about it? Some will say no. But most will say yes! And mailing a free copy of your book from home? That’s about the cheapest marketing out there. And when someone else posts about your book, boom. All of their followers see it, and the word spreads. So yes, jump on Twitter and Facebook, but consider turning your focus to Instagram. Even if you aren’t published, you can start growing a community of book-loving people. In fact, it’s actually best to get started before you’re published. Which leads to the inevitable question: What to post? Looks like you better come back for next month’s blog post! If there’s any advice I can give writers, it’s make yourself easy to find on social media! Your handle should be your name. The same name that is on your books. Simple as that. If your name is taken, put author or writer or books or whatever after your name! Not in front of your name!! I have worked at Penguin Bookshop as a Storytime leader and bookseller for three years now. I love to post about the books we use during Storytime as well as events and other new books I love in the store. I can’t tell you how many times I’ve wanted to tag an author when I post about their book, but I can’t find them. And we all know time is limited. So when I post about a book on Instagram or Twitter, I type in the @ symbol and the author’s name as it appears on their book. If it doesn’t pop up immediately or isn’t clear which social media handle is theirs, I don’t have time to search for them. So they don’t get tagged. Why does this matter? Because the business of writing is all about relationships. And if you know who is posting about you, you can thank them, chat with them, form a relationship. Not to mention it’s super easy marketing to retweet or repost an unsolicited post about your book from someone else. It not only makes them feel good, but it also helps get the word out about your book. So save booksellers the trouble of trying to track you down. Make yourself easy to find. If you already have an account with a confusing handle, it’s easy to change! Remember, booksellers want to help promote the authors they love. So make it as easy as possible to do so! Sign up here to receive updated blog posts! How many wet diapers a day?